My favourite name for a long time has been Saffron. My inspiration from a book I read a long time ago which has stayed with me. I love the sound, the cute nickname of Saffy. Like a lot of people I love the 'S' names like Sienna and Sierra but moving away from these names I love Saffron because of its fun meanings and added lack of popularity. Lack of popularity now. 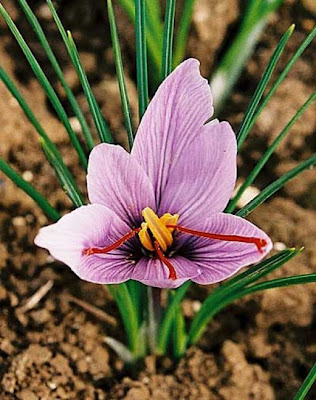 I can defiantly imagine a little Saffron and perhaps September too :D Hopefully you love Saffron to and helps some people find a fun name!Here are all the reasons to love Saffron. And If you really like the name but not for a little girl it can be used for a boy also. AH, Saffron! I love it. I think it might have been on one of my past lists, but I overlooked it more recently when I started working up new lists. Jotting it down right now. I think that happens to alot of people Mee-ah they over look Saffron for more popular 'S' names for example like Seinna or Sierra or go for more popular colour names like Indigo or Rose ect. Glad its going on your list!! Saffron is such an awesome choice. I have always liked this sweet little gem. After hearing it on Absolutely Fabulous. Saffy is such a cute nickname too and the flower is gorgeous. How about Sapphira (pronounced "Safeera")? It's also a very unusual nature-related name and has the cute nicknames Saffy and Fee.